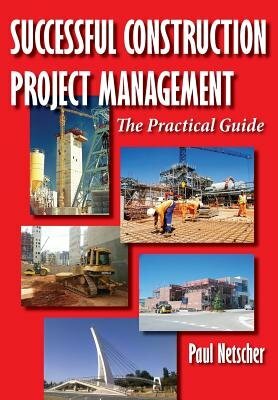 Successful Construction Project Management - The Practical Guide, provides useful tips to managing a construction project. It's aimed at construction professionals as well as those studying construction project management. Managing a construction project isn't an easy job and requires a large skill set. Some of these skills are learned by attending courses and colleges (which are often more theoretical than practical). However, others are only learned by experience, and often the hard way - learning from mistakes. This book bridges the gap between the theoretical and practical and includes chapters on planning the project, starting it, scheduling, running the project, completing it, people, materials, equipment, quality, safety, subcontractors, contractual and financial. These chapters are broken into multiple sections providing a step-by-step guide to successfully managing a construction project, and, including what-not-to-do to avoid costly mistakes. Key features of the book are it: is written for construction contractors by a contractor is written in an easy to read, friendly style, and avoids being too 'textbook' in nature has numerous practical examples of situations the author has seen and experienced over twenty-eight years in construction includes many topics essential to successfully managing projects which aren't included in most other project management books (such as; teamwork, delegation, communication, time management and preparing for meetings) has the information clearly set out and easily available so the book can be used as a continuing reference is not specific to a particular country or field of construction includes a large amount of valuable, useful and relevant information dealing with practical everyday issues of managing a project has a summary of the salient points at the end of each chapter Managing a construction project requires Project Managers with an understanding of construction processes, able to develop schedules, procure materials and equipment, aware of safety, environmental and labour legislation, capable of working with different people including the public, their workers, the client and designers, and able to manage subcontractors. They need to develop an appropriate construction methodology which uses the available personnel and equipment efficiently, enabling the project to be built in the shortest possible time, taking into account the client's requirements and the project's location and restraints. In addition, they must ensure the project is carried out safely and meets the required quality standards and complies with all permits, regulations and registrations. They must manage contractual issues with the client in a manner which doesn't jeopardise their company, ensuring the project is financially successful, while always maintaining good client relations. The project must be successfully completed on-time and closed-out correctly. The book discusses all of this, and more, in detail and includes many examples which provide relevance to the subject matter. By reading and using this book Project Managers will avoid some of the many problems encountered everyday on construction projects. The book should prove to be an excellent reference which can continually be referred to so that Project Managers don't forget important steps in the construction management process. The contents should be easily understood by people in the construction industry and those studying construction. A glossary of terms is included since terminologies vary between countries and even companies.